BSNL has announced promotional scheme offers for Prepaid and Postpaid mobile users on account of Onam through Mela conducting in Kerala State. State run Telecom Company Bharat Sanchar Nigam Limited (BSNL) starts Onam Special Mela Scheme and offering Free 3G SIM with bundled data and Full Talk Value on GSM Topup vouchers for limited period of 9 days from 1st September, 2016 onwards. 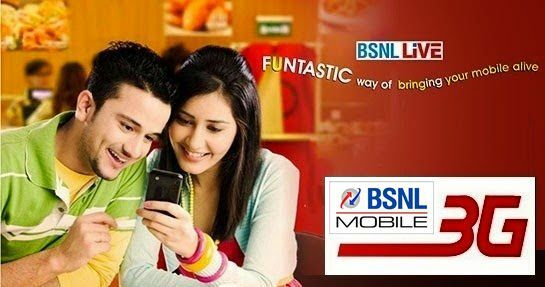 Recently BSNL introduced attractive and affordable schemes under BSNL Mobile services, BSNL Landline Services, BSNL Broadband services. As per latest information, BSNL competent authority of Kerala circle introduced promotional Mela Offers for GSM mobile subscribers. Under this scheme Free SIM offered on purchase of of any plan voucher available in Kerala circle. Student special plan voucher of Rs.118/- offers 1GB free 3G data usage, Mithram Prepaid plan voucher offers Free Talk value of Rs.40 + 50MB free 3G/2G data usage, Per second plan voucher of Rs.106 offers Free Rs.100 talk value + 50MB free data usage, Per-minute plan voucher of Rs.107 offers Free Rs.100 talk value + 50MB free data usage, Pyari Jodi plan voucher of Rs.75 offers Free 2000 seconds for voice calls to BSNL/Other network + 50MB free data usage, Jai Jawan plan voucher of Rs.99 offers Free 2700 voice seconds to BSNL/Other network. In addition to the above Free SIM customer will get Full Talk Time/Extra Talk Time on Prepaid topup vouchers (Balance cards) for Onam through Special Mela schemes offered for a period of 9 days. Free SIM card value of Rs.20/- will be offered to both new and PORT IN customer (The Offer applicable to 32K, 128K Normal/Micro/Repluggable SIM (Smart SIM). Free extra Pyari Jodi SIM card to new Per-second/Per-minte/Special Roaming tariff plan (PV 106/107/199) customers having the special benefit of Free 20 minute call per day to one Landline/Mobile number within circle. The above scheme will be implemented with effect from 01-09-2016 to 09-09-2016 across Kerala telecom circle.